Earlier today, ABC finally gifted their Upfront audience attendees and press with a first-look at its upcoming Marvel venture, and it already has the Internet buzzing. Marvel's Inhumans is slated to premiere later this Fall and cater to fans both on IMAX and the small screen. 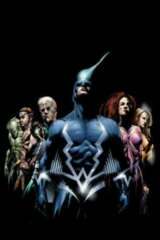 The ambitious series will follow the Marvel Universe's Inhumans as legends like Black Bolt are brought to life. The royal family will find itself threatened by someone close, forcing them to seek refuge on Earth to regroup. The action-packed trailer has yet to make its way online, but ComicBook was lucky enough to get a peek at the footage earlier today. 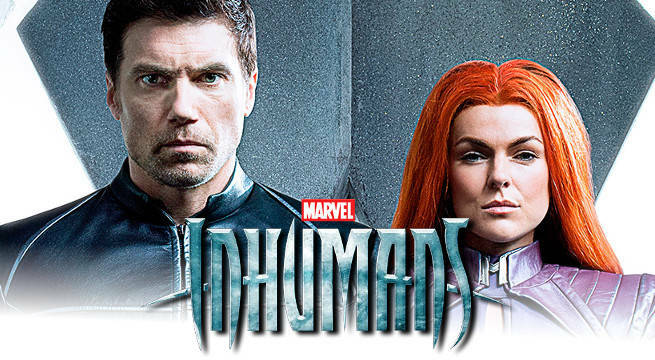 If you need to know more about Marvel's Inhumans, then we have got you covered. An in-depth description of the trailer can be found below! The trailer starts up in the stars as a wide shot of Earth is shown. The planet is seen alongside the moon, and the Inhumans’ home world of Attilan then comes into view as it orbits Earth. The footage then zooms into Attilan as a voiceover of Maximus can be heard saying humans will one day discover their race'’ home. Black Bolt and Medusa can then be seen standing on a balcony in the palace. The trailer then cuts to a group shot of the show's main characters as they eat dinner. Black Bolt and Medusa are joined by Crystal, Gorgon, Maximus, and Karnak around the table. The voice over continues as Maximus questions whether Inhumans should continue to follow their king and remain as quiet as he is. The trailer then moves in close on Black Bolt before the scene changes. The king is then seen walking down a long white stairway with Medusa while Maximus trails behind them. The scene shifts again to Maximus overlooking a crowd when a new voice over cuts in asking about his treasonous thoughts. The villain is shown walking down an outdoor corridor flanked by soldiers. They sneak up on a group of councilors before the shot fades to black. When it footage returns, the elders have all been killed. In the next shot, fans are shown Crystal as the cuffed Inhuman is led out of the palace’s throne room by guards. Then, Maximus is shown approaching Medusa after the heroine has been captured and forced to her knees before him. She jerks forward before the guards restrain her. Soon after, fans are shown shots of Maximus meditating before he walks the palace with his followers behind him. A close-up of Black Bolt is then shown with the Inhuman looking perturbed. The following shot is a sudden one as it shows Black Bolt and Lockjaw teleporting to Earth. Their sudden appearance in the middle of a street causes an accident. Naturally, Black Bolt seems a tad overwhelmed. Moving away from the city, the trailer then shows Karnak as he approaches a thick forest. Maximus then returns in the next shot as he walks down a underground tunnel. In the following two shots, the trailer shows two unidentifiable characters as one jumps off a cliff whilst the other runs through a forest. The second appears to be on the run from soldiers who are combing the vegetation with guns drawn. The rest of the trailer continues its quick pacing with interspersed shots. Several forest scenes are shown as explosion rock unsuspecting trees. Black Bolt is shown wearing a civilian suit-and-tie as he runs down a street. Back in the forest, a young woman is being led out of the trees by a bald Inhuman following some footage of Karnak and Gorgon fighting soldiers. Finally, the trailer returns to Black Bolt as he fights off several police officers and knocks a squad car down the street. The footage then ends when the logo for Marvel's Inhumans comes on-screen. Marvel's Inhumans will premiere the first two episodes in IMAX on September 1. The full series will debut on ABC later this fall.